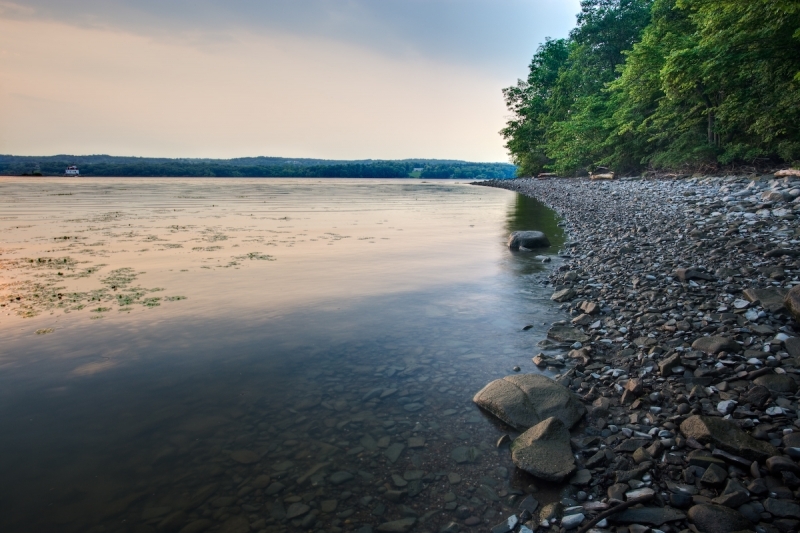 An accelerating challenge for people and nature along the Hudson River. The Hudson River is an extension of the Atlantic Ocean, a 160-mile-long estuary that stretches from the Narrows in New York Harbor to the Federal Dam at Troy. Sea level along the entire estuary is thus linked to any changes in water levels in the Atlantic and around the globe. Over the past century, sea level on the Hudson has risen about a foot—more precisely about 2.8mm per year—a rate greater than the global average. In recent decades the rate of sea level rise has accelerated and since 1990 the yearly average has been 4.6 mm/year. The best data available indicates that we can expect the Hudson’s water levels to continue rising up to six feet by the end of this century, and perhaps that much again during the next century. Over 9,000 acres of riverfront lands lie within the expanding reach of daily high tides, threatening both the most critical river habitats and approximately 3,600 households and 6,900 people. Accompanying shifts of flood-prone areas will put another 6,400 households and 12,200 people at greater risk from damaging storm surges and floodwaters. 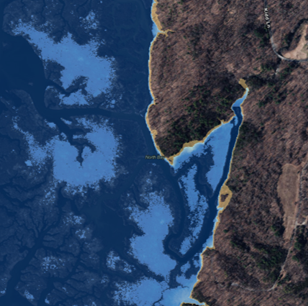 At the same time, the most critical habitats of the Hudson River ecosystem—the 13,000 acres of tidal wetlands and shallow water vegetation beds—will be increasingly stressed by rising water levels. The Sea Level Rise Mapper is a tool for communities and stakeholders to create visualizations of future scenarios of sea level rise.